Ford cars saw their J.D. Power & Associates satisfaction ranking fall from 5th to 23rd this year due to customer unhappiness with the user interface for the vehicle telematics. Mark Fields, President of the Americas for Ford Motor Company says upgrades are coming. In another J.D. Power survey, Chrysler, Hyundai and Acura vehicles' navigation systems rank in the top 5 for customer usage satisfaction. John Maloney is the new President of Volvo Cars of North America stepping into the role left vacant by Doug Speck who moved to Sweden June 1st as Senior Vice President, Marketing, Sales and Customer Service at Volvo Car Corporation. Maloney brings close to 30 years of automotive experience with him, most recently coming from a position as Vice President, Marketing and Product Planning at Volvo Cars North America. 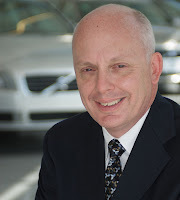 John Maloney joined Volvo Cars of North America in 2000, arriving from Ford Motor Company. He became Vice President Marketing Communications in 2002 and in 2008 Product Planning was added to his responsibilities. He has been acting President of Volvo Cars of North America since May this year and he replaces Doug Speck who has been appointed Senior Vice President of Marketing, Sales and Customer Service at Volvo Car Corporation. 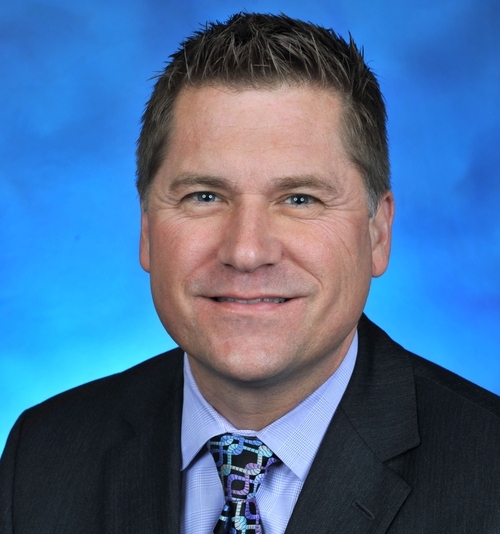 Chrysler named Timothy Kuniskis Head of the Fiat Brand for North America replacing Laura Soave who has left the Company and will pursue other interests. Kuniskis most recently served as Director for both the Chrysler Brand and Fiat Brand Product Marketing. In his new role, Kuniskis is responsible for the Fiat Brand in North America which includes leadership for Fiat Brand sales, marketing, dealer network and service. Kuniskis joined Chrysler in 1992 and since then has held a series of increasingly responsible positions in the Company's business center operations and marketing organization. He will continue the reintroduction of the brand including its newest vehicle the 2012 Fiat 500 Abarth. The new 2012 Fiat 500 Abarth, with its all-new 1.4-liter MultiAir® Turbo engine and designed for track-day enthusiasts and driving purists who want a high-performance small car was introduced at the L.A. Auto Show a few weeks ago. 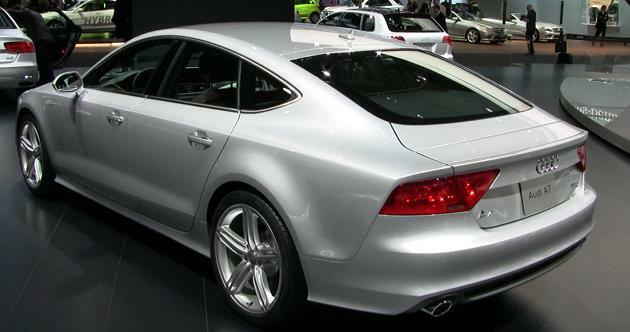 The 2012 Audi A7 is the winner of the first-ever Motor Press Guild Vehicle of the Year award. The 2012 Audi A7 was one of five finalists chosen over a two-month period by a select panel of MPG journalist members who test and review cars on a regular basis. The final five vehicles were evaluated and ranked by the entire journalist membership. Vehicles were rated in the categories of Safety, Quality, Value, Performance/Handling, Design/Style, Environmental/Green Impact and Technology/Innovation. In addition, journalists were encouraged to consider models that reflect the unique style of Southern California. Vehicles were required to be all-new or substantially changed from the previous year's model and available at dealerships on or before Jan. 1, 2012. Other finalists were (in alphabetical order): the 2012 Chevrolet Sonic, 2012 Fiat 500, 2012 Ford Focus and the 2011 Hyundai Elantra. The Audi A7 with an MSRP of $60,125 is about the same price as the other four finalists combined, which I believe gave it an unfair advantage. Though the A7 is a fine vehicle, the other finalists are a lot of car for the money. BMW Vision EfficientDynamics, the concept car for the forthcoming BMW i8 and the BMW 6 Series Convertible will be featured in Mission: Impossible – Ghost Protocol which opens worldwide on Dec. 21, 2011. The movie plot: The IMF is shut down when it's implicated in the bombing of the Kremlin, causing Ethan Hunt and his new team to go rogue to clear their organization's name. BMW has a national branded advertising campaign dubbed "Mission to Drive" kicking-off today via broadcast, print, online and in-dealer activations which includes a limited time "self-destructing" sales offer running now through January 2, that will also offer more than 200 special screenings of the film for BMW customers and a contest that will award an all-expense paid trip to the Mission: Impossible – Ghost Protocol U.S. premiere. The 2013 Ford Flex gets upgraded with a new look, more technology and new engine. 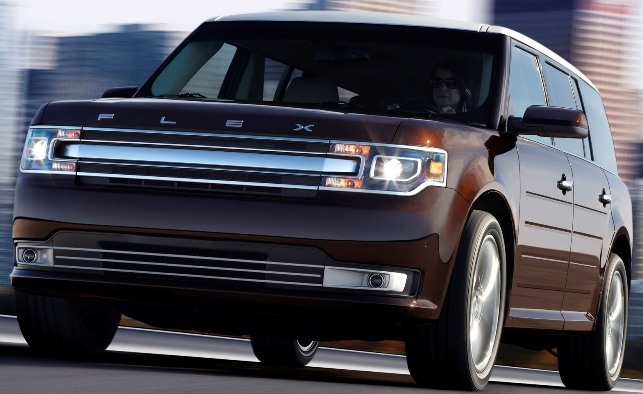 The newest Flex seven-passenger, three-row crossover debuts at the Los Angeles Auto Show next week with the new generation of MyFord Touch, rear inflatable belts, collision-avoidance technologies, rain-sensing wipers, keyless entry, first-row heated and cooled seats, power-fold mirrors and an optional new Appearance Package. The new 3.5-liter Ti-VCT V6 engine provides 285 horsepower, approximately 20 more horsepower than the previous engine, with 255 lb.-ft. of torque and projected fuel economy of 18 mpg city and 25 mpg highway. The 355 horsepower 3.5-liter EcoBoost® V6 engine remains on the new Flex. Inside the Flex, there are new clusters, steering wheel and electronic finish panels, as well as new seat trim and foam and an available second-row refrigerated console and the latest generation of MyFord Touch with SYNC. Steve Shannon, Vice President, Marketing, Hyundai Motor America is responsible for all marketing activities in the United States. Prior to joining Hyundai Shannon held a number of posts at General Motors in the U.S. and Europe in marketing and other areas. Shannon graduated from Harvard College with a Bachelor of Arts and received his Masters of Business Administration in Marketing from Columbia University. Shannon discusses Hyundai's success and supply challenges. General Motors reported total sales of 186,895 vehicles in October, up 2 percent compared with October 2010. Year-to-date GM has sold 2,089,067 vehicles, a gain of 15.4 percent over 2010. Ford Motor Company’s October U.S. sales of 167,803 vehicles increased 6 percent versus last year and year-to-date sales are 1,771,801, up 10.9 percent over 2010. Toyota Motor Sales, U.S.A. reported October sales of 134,046, a decrease of 7.8 percent from the year-ago month. Year-to-date Toyota sales are 1,328,570, an 8.8 percent drop from last year. Chrysler Group LLC reported U.S. sales of 114,512, a 27 percent increase compared with sales in October 2010 and the best October sales since 2007. Year-to-date, Chrysler sales are 1,123,923, a 23 percent rise over 2010. American Honda posted October sales of 98,333 vehicles, down half a percent from October 2010 and year-to-date sales reached 958,130, a drop of 5.3 percent versus last year. Nissan North America reported October U.S. sales of 82,346, an increase of 18 percent. Year-to-date sales of 856,425 is a gain of 15.2 percent over 2010. Hyundai Motor America sales of 52,402 vehicles in October is a 23 percent total sales increase compared with the same period a year ago. Year to date, Hyundai sales are 545,316, up 21 percent versus 2010. Kia Motors America announced best-ever October sales of 37,690 units, a 21-percent increase over the same period last year and the company's 14th straight monthly sales record. KMA's year-to-date sales are 405,095, up 35 percent, and the brand has eclipsed the 400,000 vehicle sales mark for the first time in company history. Volkswagen of America reported 28,028 units sold in October 2011, a 39.6 percent increase over prior year sales. Year-to-date sales are 263,487, up 23.8 percent. Separately, Audi of America reported record October U.S. sales of 10,225 vehicles. Audi U.S. year-to-date sales of 95,206, is an increase of 16.5 percent over last year. The BMW Group in the U.S. (BMW and MINI combined) reported October sales of 27,288 vehicles, an increase of 17.5 percent from the same month a year ago. Year-to-date, BMW Group sales are 246,602, up 14.6 percent in the first ten months of 2011 compared to the same period in 2010. Mercedes-Benz USA reported October sales of 24,449 vehicles, a 28.2 percent improvement over October 2010 and the company's highest October volume on record. On a year-to-date basis, the 206,632 vehicles sold represent a 12 percent increase over the same period last year. Subaru of America October 2011 sales of 20,081, a drop of 11.6 percent and year-to-date sales of 216,334, a decline of .32 percent. Mazda North American Operations reported its best October sales in the U.S. since 2007, with 18,326 vehicles representing an increase of 1.7 percent versus October 2010. Year-to-date sales through October are 209,641, up 8.7 percent versus last year. Volvo Cars North America sold 4,899 vehicles in October, a gain of 22.6 percent from October 2010. Year-to-date Volvo has sales of 45,114, an increase of 26.5 percent over last year. Jaguar sold 909 cars in October, a 29.8 percent decline from a year ago and year-to-date sales are at 10,224, a 7.4 percent drop from 2010. Land Rover October sales of 3,886, a jump of 31.4 percent from last year while year-to-date sales are 29,536, a 17 percent increase. Mitsubishi Motors North America reported October 2011 sales of 4,378 units, down 14 percent from October 2010. Mitsubishi's year-to-date sales are 70,253, 51.1 percent ahead of January through October sales last year. This marks Mitsubishi's highest sales total since 2008 for the first ten months of the year. Porsche Cars North America announced October 2011 sales of 2,270 vehicles, a decrease of 14 percent compared to the same period last year. To date in 2011, sales are 24,934, up 23 percent compared to the same ten-month period last year. American Suzuki sold 1,947 vehicles in October, a 5 percent drop from October 2010 and year-to-date has sold 22,231, a 17 percent gain. As with the GS 350, the GS 350 with F SPORT package is powered by a 306 horsepower 3.5-liter V6, with four cams, and four valves per cylinder and dual Variable Valve Timing with intelligence with a 0-60 mph time of 5.7 seconds. 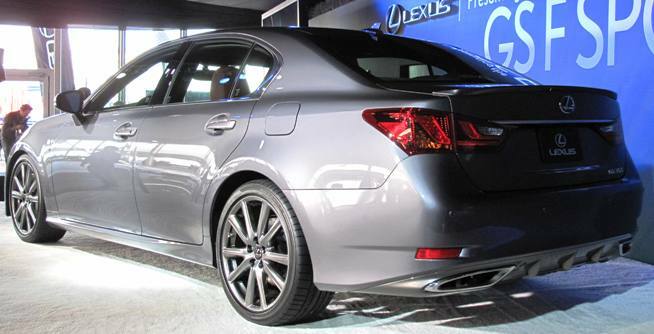 The GS 350 with F SPORT package will offer an optional Lexus Dynamic Handling system with Dynamic Rear Steering. 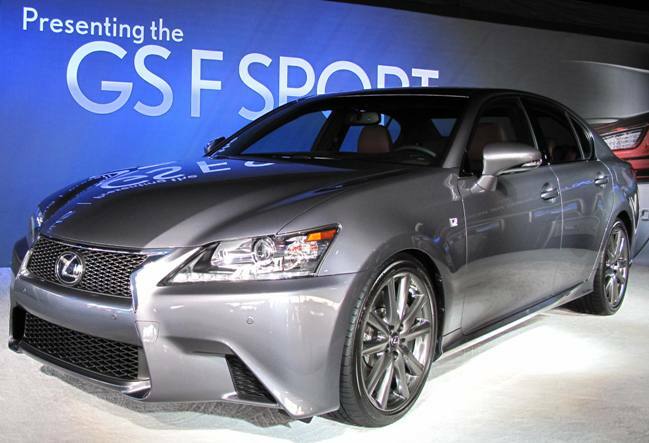 It's clear that Lexus is targeting the GS350 F Sport at the BMW 5 Series and Mercedes E Class buyer. It hits showrooms in February so we should get pricing in two weeks at the L.A. Auto Show or in early January at the North American International Auto Show in Detroit. The COPO Camaro concept is designed to the specifications for NHRA Stock Eliminator drag racing competition with two engine options, including a naturally aspirated 427 engine (7.0L) – the same displacement as the original COPO Camaros from 1969 – and a supercharged 327 (5.3L) engine. Among the many racing-specific features and equipment is a conversion from the Camaro’s standard independent rear axle to a solid axle, as well as a full chrome moly roll cage. 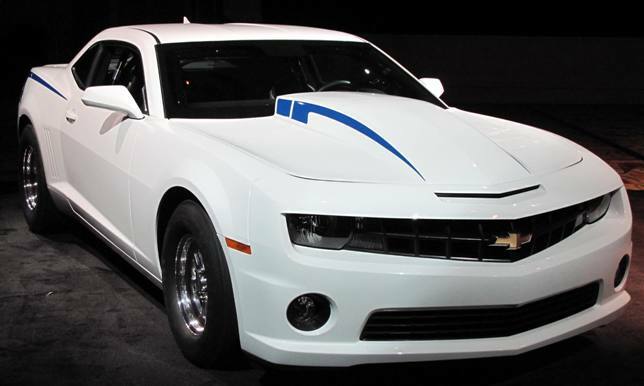 Chevrolet and Hot Wheels® created a life-size Hot Wheels Camaro Concept, a collaborative effort between the General Motors Design studio in Michigan and the Hot Wheels Design studio in California. Under the hood is the all-aluminum 6.2L LS3 V-8 backed by the Tremec TR6060 six-speed manual transmission. 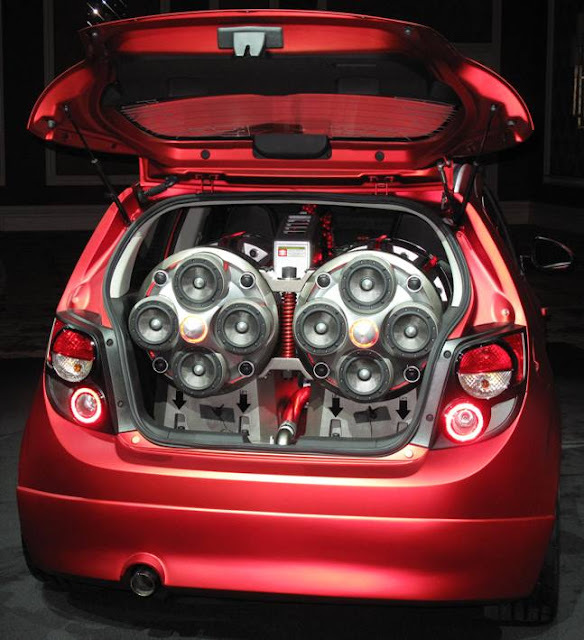 The Chevrolet Sonic Boom was a collaboration with Kicker on the concept audio system, influenced by the design of jet engines, which features a pair of 15-inch subwoofers and 10 six-inch mid-range speakers. The concept Kicker system delivers 4,000 total Watts of power. 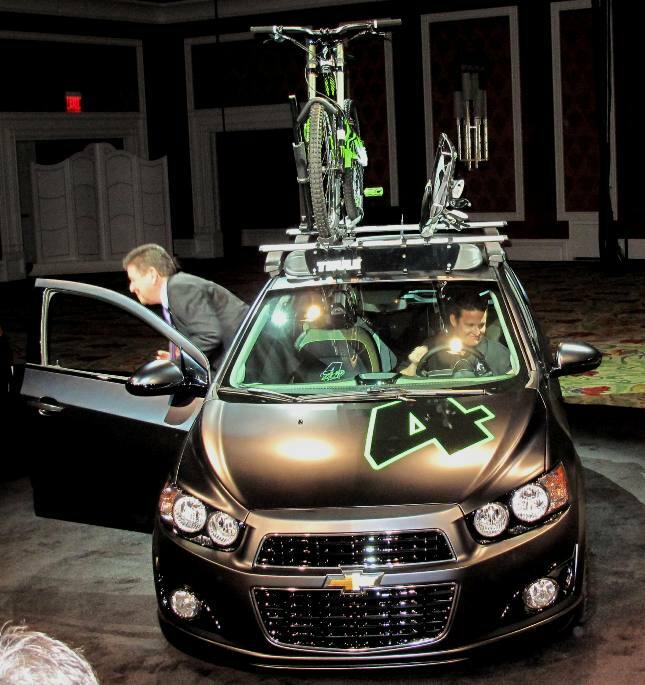 Along with the high-performance sound system, the rest of the interior of the Sonic Boom is fully customized, with performance seats, a racing-inspired flat-bottom steering wheel, the Chevrolet Accessories Z-Spec sport pedal kit and unique trim. Chevrolet turned to long-time racing partner Pratt & Miller to construct the Sonic Super 4 concept which features a suspension modified for racing and a lower restriction intake and exhaust system to provide enhanced on-track performance. The interior features a chrome moly roll cage built to SCCA specifications. 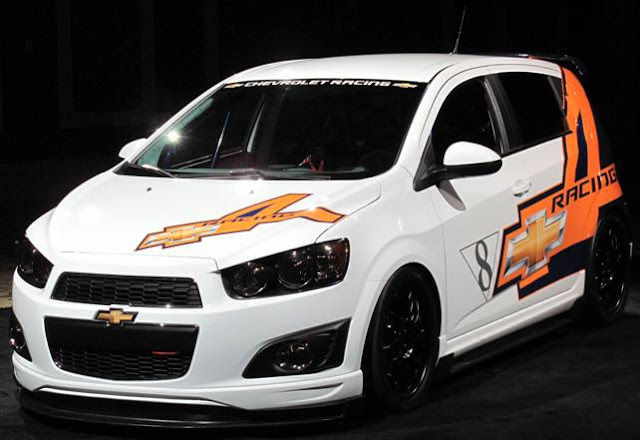 It also wears Chevrolet Z-Spec concept accessories, including ground effects and a high-wing spoiler. The exterior has an Anodized Sonic Boom Red paint scheme and concept Z-Spec parts, including the ground effects, grille and rear spoiler, along with 19-inch wheels. The Ricky Carmichael Concept All Activity Vehicle was inspired by the 15-time American Motorcycle Association (AMA) champion, three-time X-Games gold medalist and NASCAR racer and is equipped for those adventures, with the storage capacity for his biking and wakeboard equipment. Also a THULE Roof Rack with an S-Works mountain bike and Hyperlite wakeboard, splash guards, custom wheels, special exterior graphics, as well as concept Z-Spec ground effects, Z-Spec grille and Z-Spec spoiler. 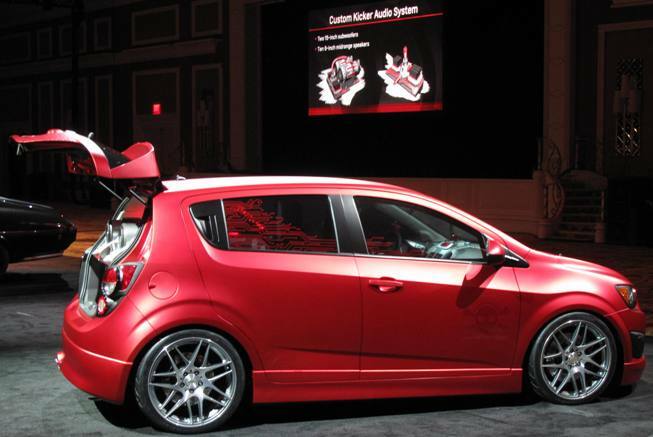 From a performance standpoint, this Sonic breathes through a Borla exhaust system and stops more authoritatively with Brembo brakes. Under the hood is the production 1.4L turbocharged engine and six-speed manual transmission.